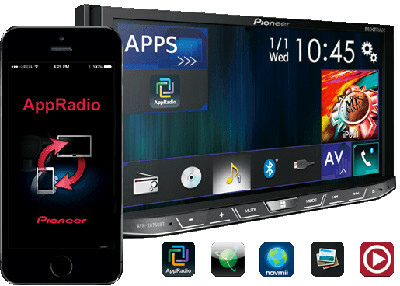 With the introduction of Apple’s new iOS 11 mobile operating system, Pioneer has discovered an incompatibility with AppRadio Mode on certain Pioneer receivers. If you connect an iPhone® or 5th or 6th generation iPod touch® device that has been updated to iOS 11 and launch AppRadio Mode, you will experience a blank screen or other display malfunction that disables AppRadio Mode. To maintain compatibility with AppRadio Mode, please continue using iOS 10 or older with your iPhone or iPod touch. Pioneer is working to resolve the issue and will update this notice once firmware updates for the receivers are available.